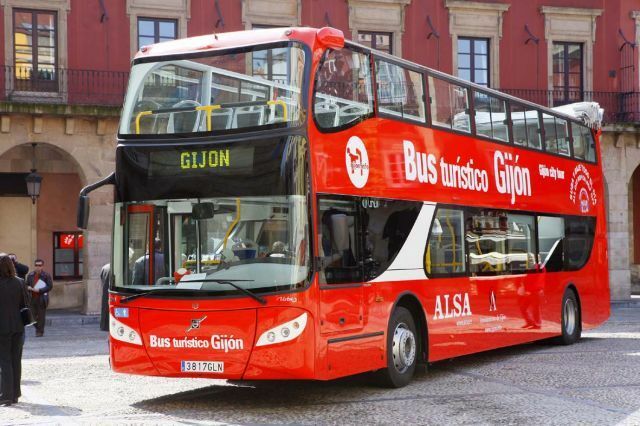 The Touristic Bus (bus turístico) is a seasonal service provided by Gijon Tourism available for Easter 2018 from 29th March until 1st April. It runs every hour from 10:00 to 15:00 and 16:00 to 19:00 taking approximately 2 hours for the complete ride. The last ride departs 1 hour before the end of the morning and evening running times. • Star/Finish Stop: “El Fomentín” (Rodriguez San Pedro, 5 by the bus stop close to the Tourist Information Office. • 1 Day >>> Adults: € 11; children (4 to 12 years old): € 5.50; children under 3 years old: free. • 2 Consecutive Days >>> Adults: € 16; children (4 to 12 years old): € 8; children under 3 years old: free. Tickets can be bought at the Touristic Bus or the Gijon Tourist Information Office.